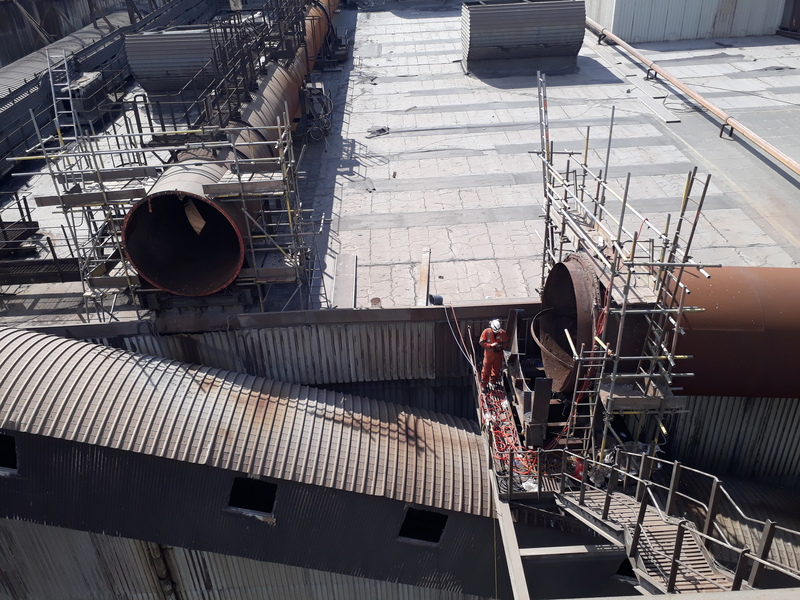 Tinsley Bridge have completed the installation of a new Lobster Back for Liberty Steel’s Rotherham site. Part of the existing ducting located on the Melting Shop roof was beyond repair and needed replacement. Having completed both site measurements and construction of a 3D CAD model, Tinsley Bridge produced the pattern profiles necessary to manufacture & roll plate to the component design. The assembly required edge preparation prior to full penetration welding in accordance with EIS 3 Cat A, the Liberty Steel standard for welding of steel fabrications. The work was also completed in compliance with the Fusion Welding standard BS EN ISO 3834-2 : 2005. 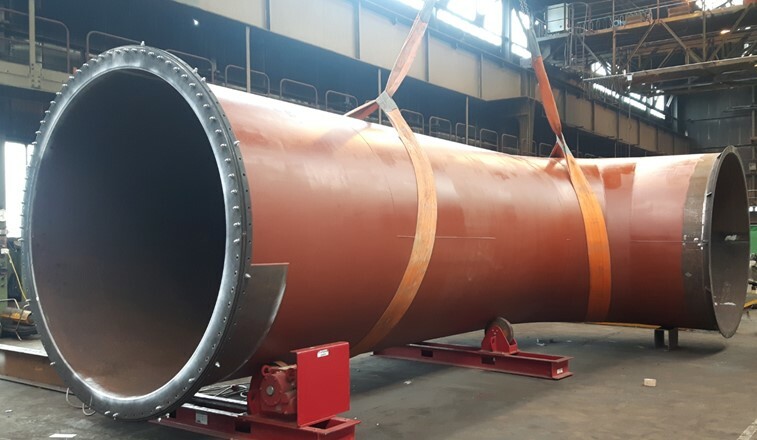 Tinsley Bridge offer a wide capability, flexibility and large-scale engineering know how for medium and heavy metal fabrication projects, supported by extensive welding facilities and highly skilled, experienced staff.